Thank you for your expressions of sympathy at Dad’s passing. The funeral took place quietly on 9 January and there will be a service of thanksgiving for his life on 26 February – details are below. All are welcome. An RSVP* would be helpful but is not essential. News has come from Walter Smith’s daughter, Barbara Johnson, that he died on 11th December, and that a memorial service is being organised, probably late January or early February. Walter Smith joined what was then the Air Survey Company (a subsidiary of Fairey Aviation) as Chief Surveyor in 1950, and left as Managing Director in 1977 to take up a post with the United Nations for two years. He was then appointed the first civilian Director General of the Ordnance Survey, a post he held until he retired in 1985. 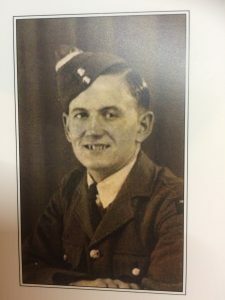 Lawrence Scott remembers him with gratitude, as WP (as he was generally known in the company) recruited Lawrence in 1952 in Southern Rhodesia, when WP was Manager of the Air Survey Company of Rhodesia for three years, the subsidiary he set up in 1951. If we hear about the memorial date, it will be posted on the website, and we can pass on any messages to the family. Ken Fostekew has passed on news from Bill Clark’s son Andrew that Bill died on Sunday 9th December. His funeral was on 7th January in Edinburgh. He was 92. 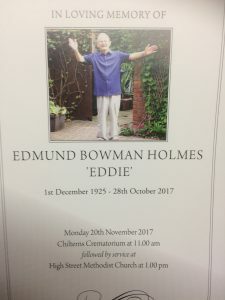 John Tompkins was at the memorial service for Eddie Holmes on Monday 20th November, and has sent in these pictures. Apologies to anyone who couldn’t access the FSL website today. We have had to move the website to a new website hosting company. The old company was absorbed into a new one, but the users had to move their own data over. Not something we chose to do! It all seems to be working now, although it is a bit slow at the moment. If it is still slow in a couple of days time, or you see any problems or missing bits, please reply to this post (below) or send an email to admin@faireysurveys.co.uk. Anyone remember the Dragon Rapide? 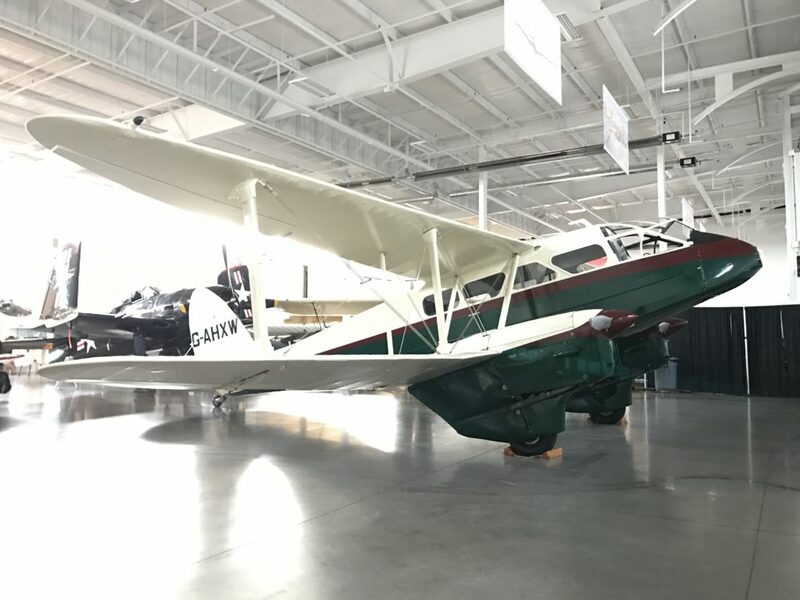 The Historic Flight Foundation near Seattle, WA, have just acquired G-AHXW, a De Havilland DH.98A Dragon Rapide, that was owned for some years in the 1950s and 1960s by Fairey Aviation and then Fairey Surveys. They would like to hear about what sort of work it was doing, or any really interesting projects it may have been part of. The museum has sent a couple of photographs of when the aeroplane arrived there on 31st March 2017, which are shown below. 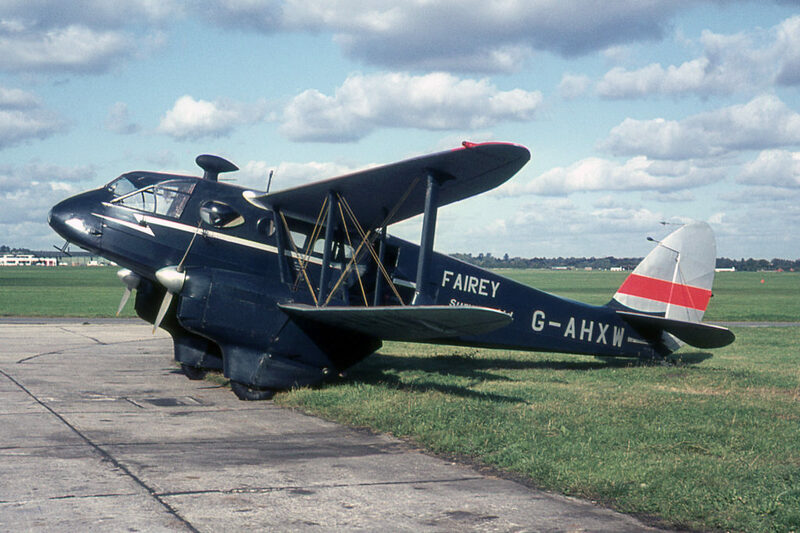 A trawl through the internet also found a photograph of G-AHXW in Fairey Surveys livery at White Waltham in 1965 on the website Air Photographic International (https://www.airphotographicinternational.com), which has hundreds of great photographs of old aircraft for sale, all identified with type, registration, location and date. Chris Knott, the owner of the website, has very generously allowed us to publish the photograph here. 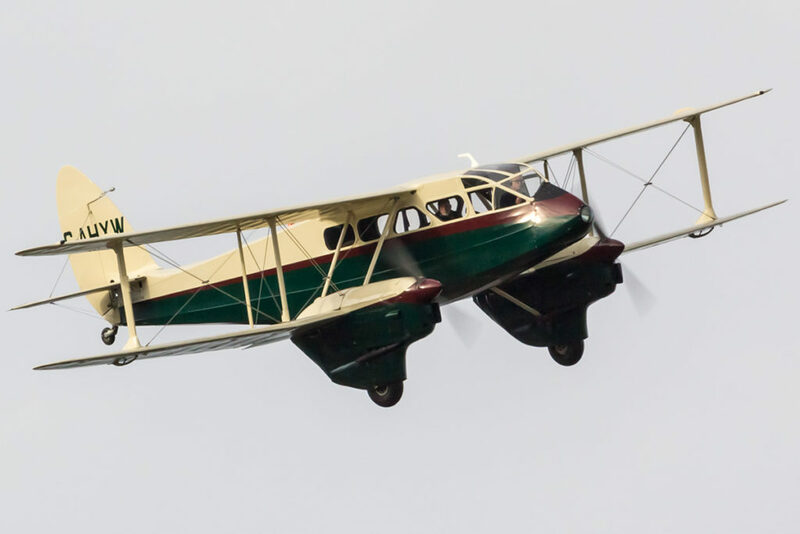 The website has been contacted by Bruce Hales-Dutton, who has been asked by the monthly magazine ‘Aeroplane’ to write an article about Fairey Surveys. The idea is to write about the aircraft, particularly the DC-3s, and to use the memories and stories of the Fairey Surveys staff who were involved with them, in whatever capacity. Mr Hales-Dutton is a freelance aviation writer and journalist, whose name appears on at least one published aircraft book, about the Comet. If you would like to send in a story to be used, or would like to talk to Mr Hales-Dutton, please leave a reply below, or send an email to admin@faireysurveys.co.uk and we’ll pass on your details to him. 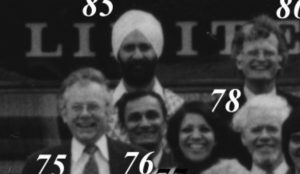 There are a few stories already on the website, but there must be many more. Rob Wallace remembers a search through the huge Enugu market in Nigeria for a special 5 foot long Pratt and Whitney spanner to change the engine on a DC-3. Astonishingly, the search was successful, and the engine was changed, but the process, with much arm-waving and sign language, was pure entertainment. Please let us know if you have any stories you would like to share.